Elkton Community Education Center (ECEC) captures the essence of rural Oregon’s beauty, culture and history at its site along the Umpqua River Scenic Byway. The high school student staff offers tours of the butterfly pavilion, the 4.5-acre Native Oregon Botanical Garden with thematic outdoor sculptures, and the work-in-progress reconstruction of historic Fort Umpqua beside the Umpqua River. ECEC is a hub of educational and cultural activity along the Umpqua River Scenic Byway. Locals and visitors gather at the new library and Outpost café and espresso shop, where art shows and events engender a feeling of community. The Native Oregon Botanical Garden preserves specimens of trees, shrubs and wetlands typical of Oregon’s varied climate zones. 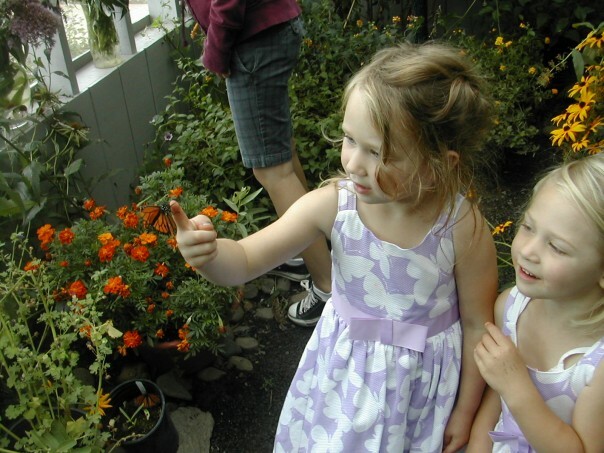 Sunset magazine featured ECEC as one of the five best Northwestern places to see butterflies. Reconstruction of historic Fort Umpqua, the Hudson Bay Company’s southernmost outpost, helps reacquaint visitors with the importance of this area in the westward expansion of the United States. Guests participate in tangible ways—donations, log sponsorships or contributions of time and talent perpetuate the growth and sustainability of ECEC.